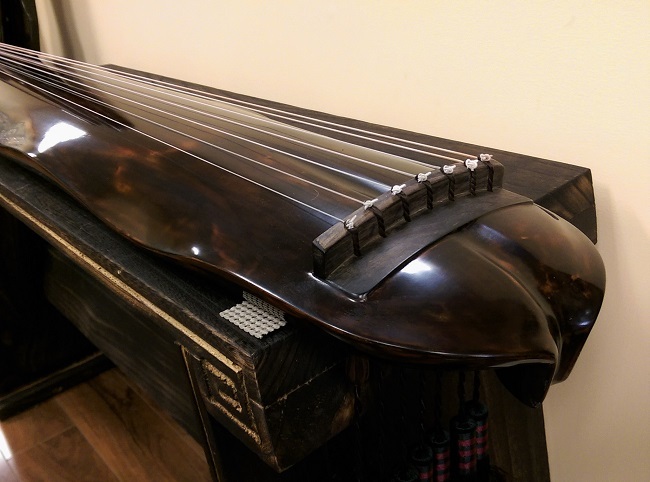 This beautiful instrument is brand new hand made by reputed Yangzhou maker Han Tiansheng with his signature at the back. 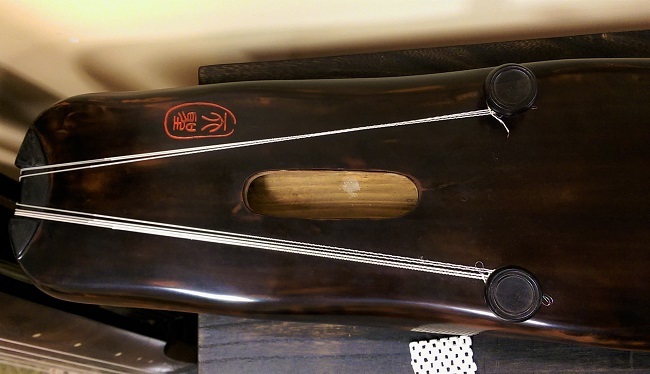 It's a collection grade instrument in Jiao Ye style. 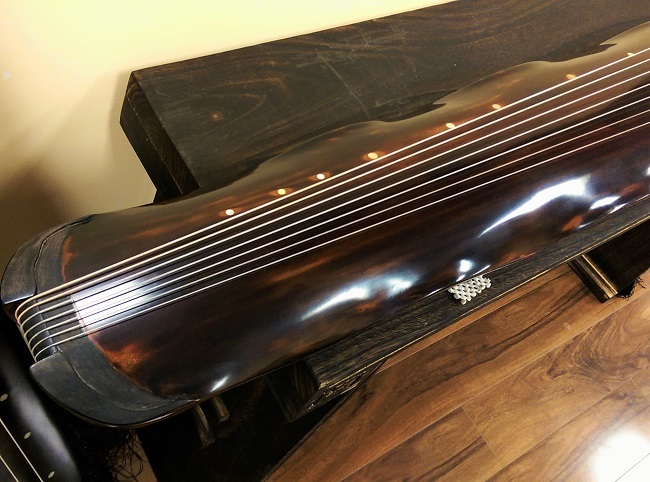 This qin is made with aged Chinese fir wood layers of traditional lacquer using deer horn powder. 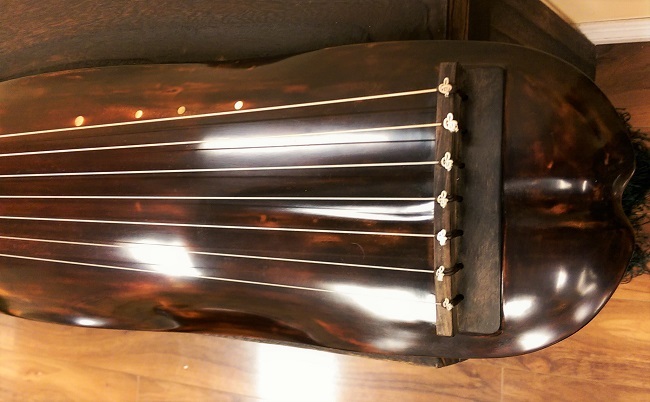 Each layer of lacquer is naturally air-dried.